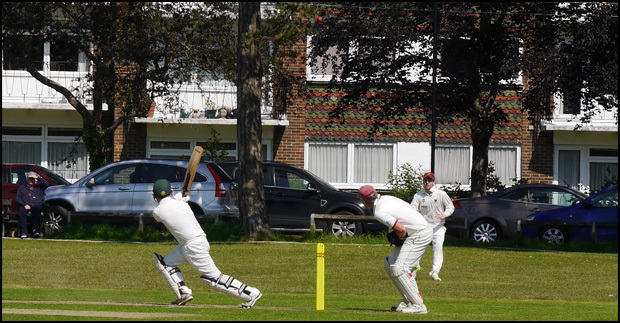 Burgess Hill Cricket Club chalked up their second win of the season at St John's Park on Saturday afternoon thanks to an unbeaten 122 from Kevin Ramsay as Burgess Hill recorded 215 runs from their 45 overs before Preston Nomads reached 210-9 in their innings. 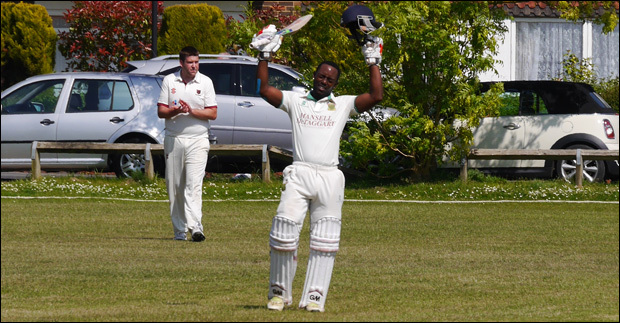 Ramsay hit 10 fours and 5 sixes in his innings where only one other batsman - Luke Vick - managed to reach double figures as he provided support with 30 as Burgess Hill reached 215-7. Ramsay then did some damage with the ball in his hand as he picked up three wickets from six overs, including the scalp of Preston Nomad's opener Luke Schildkamp who hit 73 before being stumped by Luke Vick. Peter Billinghay picked up three wickets for 31 from his 9 overs, with captain Joe Maskell chipping in with a couple. Owen Kernan hit an unbeaten 42 batting at number nine for the visitors, but it wasn't enough as Nomads fell five runs short of the Hillians' total. Burgess Hill now sit fourth in the Division Three East League, just four points off top spot. Spread the word, Burgess Hill Cricket Club have chalked up another win.